The post Mountain bike MaiChau & Trekking Sapa appeared first on Cycling Vietnam, biking and cycle holiday in Vietnam. The post trip hostel in Da Nang appeared first on Cycling Vietnam, biking and cycle holiday in Vietnam. The post Charities in Vietnam appeared first on owee58.com. The post Cycling in Hochiminh Trail appeared first on Cycling Vietnam, biking and cycle holiday in Vietnam. The post Cycling Saigon to Siemreap appeared first on Cycling Vietnam, biking and cycle holiday in Vietnam. The post Bicycle in Japanese life appeared first on Cycling Vietnam, biking and cycle holiday in Vietnam. The post Visa on arrival appeared first on owee58.com. 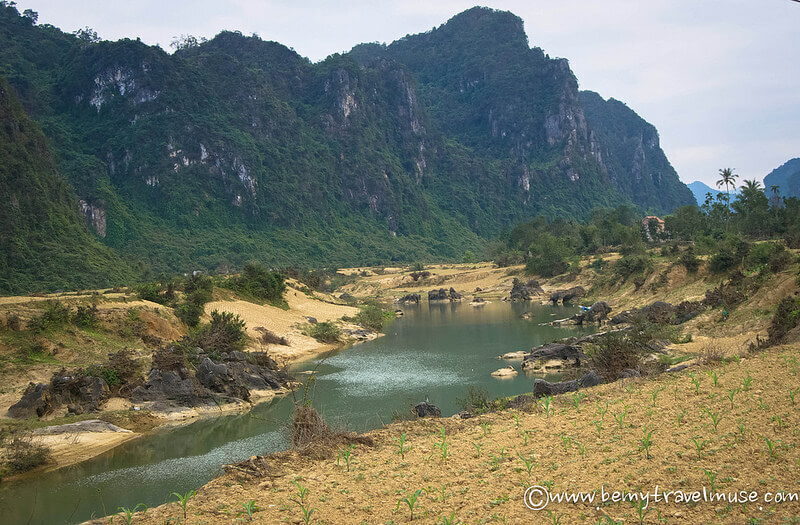 Time: 6 Days, 5 NightsTrip length: 1081 kmsFrom: Hanoi To: Mai Chau - Mu Cang Chai - Sa Pa - HanoiArea Covered: Northwest of VietnamTour price (US Dollars): $1060.00Northwest Vietnam is not only famous for an amazing view of terrace rice fields or breathtaking scenery but also the hidden land of the Vietnamese culture. Motorcycle touring in Northwest Vietnam is always a good choice and always be one of the best in the collection of Motorbike tours in North Vietnam..Tour Include:1 night accommodation in La Suite Hotel in Ha Noi5 breakfasts6 lunches on tour5 dinners on tour5 nights’ good quality accommodationAirport transfer on arrival and departureAll entrance fees, tickets, and transport on the tourAll gas (fuel)English-speaking tour guideMotorcycle rental of your choiceSupport vehicle and a second guide (for minimum 4 riders)Trip insuranceVietnamese food and drinkWelcome and farewell dinner Include Excursion:Cross large green tea plantationHit all the way to Da river Lake and have a great motorbike ride along the riverOffroad riding around the Phu Yen Valley through some villages and rice fieldsRide along the Muong Hoa Valley for its breathtaking sceneryRide on the small mountain road built by the French, which is almost empty and offers a very beautiful view of the mountainRide up on the O Qui Ho pass - one of the longest and most beautiful passes in Northern VietnamShort motorbike tour around Sa Pa to some rustic villages of the Black H’mong, the Tay, and the Zay peopleShort walk around the peaceful villages of the Thai people who live in the stilted housesTrip to Thac Ba Lake an get close to China and have a short ride along the borderVisit the peaceful village of the Dzao people and have a great boat trip around the lake for about one hourItineraryDay 1: Hanoi - Ban Buoc Village in Mai Chau (191 kilometers / 117 miles)Yen Lack, Mai Chau ValleyHanoi motorbike tour to Mai Chau starts from the western outskirts of Hanoi at 8:30 a.m. Just after 45-minute riding, you will be in countryside back-roads through some rural villages locating between hills and rice fields. Lunch is in Yen Lac, Hoa Binh province. The ride in the afternoon is promised to be one of the best Northern Vietnam motorbike tours.As a motorbike tour expert, Hanoi Easy Rider is different from the other Hanoi motorcycle tour organizers as they will take you on the better and safer roads with a more beautiful view. All this motorbike ride is on mountain back-roads with a beautiful view of the mountain, river, and cute houses on stilts. You will be in Mai Chau Valley at 5:00 p.m. Home stay with the Thai people.Day 2: Mai Chau - Moc Chau - Phu Yen (170 kilometers / 106 miles)Moc Chau, Da river lake, Phu Yen, Phu Yen ValleyAfter local breakfast with the host, take it easy with a short walk around the peaceful villages of the Thai people who live in the stilted houses. Then get back to the bikes and keep motorcycle touring North Vietnam up to Moc Chau. To avoid the highway No 6, they group will ride on the small mountain road that was built by the French. This road is almost empty and offers a very beautiful view of the mountain. The short motorbike ride on this forgotten road must be the highlight of the northwest Vietnam motorcycle tour. After lunch in Moc Chau, you will hit all the way to Da river lake. After crossing the lake, you will have another great motorbike ride along the river. 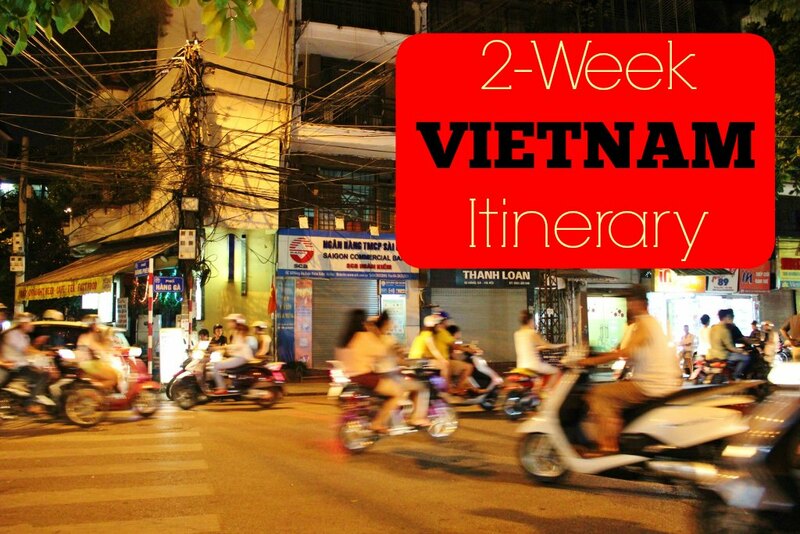 This ride is promised to be the same as the coastal road Vietnam motorcycle tour. 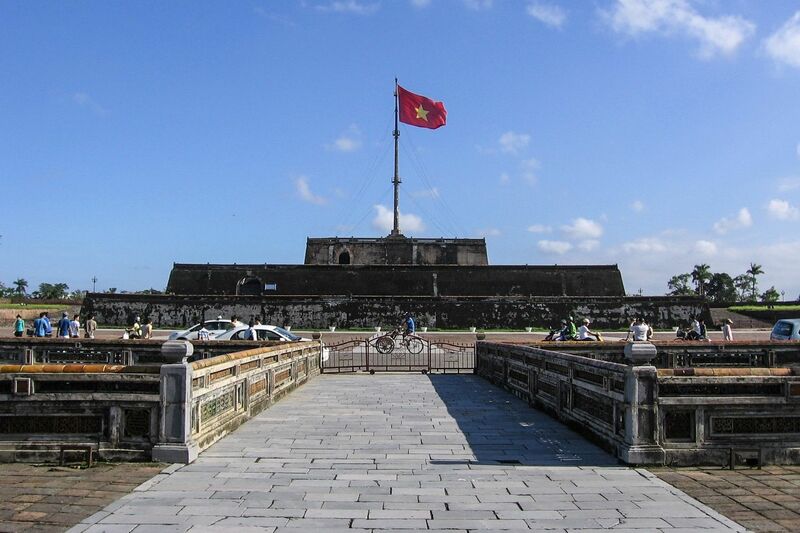 The group will arrive at Phu Yen in the early afternoon. If you are not tired, you can keep riding around the Phu Yen Valley through some villages and rice fields, it can offer a joyful offroad motorcycle ride.Day 3: Phu Yen - Mu Cang Chai - Than Uyen (210 kilometers / 130 miles)You will have “Pho” - a must-try food in Vietnam for breakfast and depart at around 8:00 a.m. The ride today will be surely the highlight of the Northern Vietnam motorbike tour. 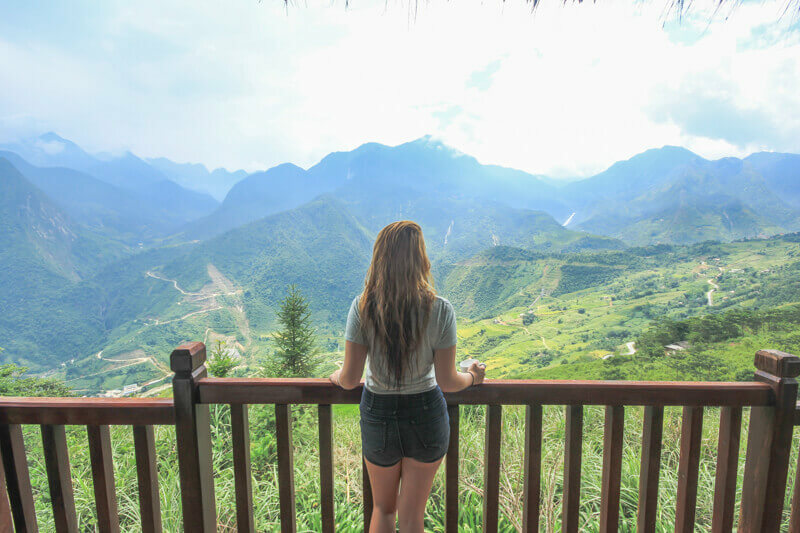 You’ll cross some of the longest and most beautiful mountain passes in North of Vietnam which can give you amazing pictures of mountain and terrace fields. The road is smooth and sealed but the scenery and the rustic villages of the hill tribes along the way will make you stop every meter of the road. Personally, this is one of the best motorbike tours in Vietnam. You will will end the day at the hotel in Than Uyen at 5:00 p.m.Day 4: Than Uyen - Sa Pa (110 kilometers / 68 kilometers)O Qui Ho pass, Sa Pa, some rustic villages, Muong Hoa valleyThis motorbike ride to Sa Pa is another highlight of the Northwestern Vietnam motorcycle tour. The ride of the first half will cross large green tea plantation and then the other half of the ride must be one of the best motorbike tours in Vietnam when you motorcycle up and up on the O Qui Ho pass - one of the longest and most beautiful pass in Northern Vietnam. You will be in up to the level of 1,600 meters above the sea level where you call the town in the cloud, Sa Pa, at noon time. In the afternoon, you will have short motorbike tour around Sa Pa to some rustic villages of the Black H’mong, the Tay, and the Zay people. In addition, the Sa Pa motorbike ride along the Muong Hoa valley promises to give you plenty pictures of the breathtaking scenery of this most beautiful valley in North Vietnam. You will be back to the hotel in Sa Pa town in the late afternoon.Day 5: Sa Pa - Thac Ba Lake (220 kilometers / 137 miles)Thac Ba Lake, Pho RangStart the Sa Pa motorbike tour to Thac Ba Lake earlier than usual. Back on the bike at around 8:00 a.m. and enjoy a great ride on the small winding mountain roads through some rural villages located on the mountain with a nice terrace surrounded. The motorbike trip to Thac Ba lake today offers a great chance to see China because, after Sa Pa, you will get close to China and have a short ride along the border. After lunch in Pho Rang, you will make a turn to back-roads through lovely villages with beautiful rice fields between the palm tree hills. The last 80-kilometer ride must be one of the most beautiful motorbike tours in Northern Vietnam. You will be in the peaceful village of the Dzao people that located nearby the Thac Ba Lake bank, drop the bikes in the village and have a great boat trip around the lake for about one hour.Day 6: Thac Ba Lake - Ha Noi (180 kilometers / 112 miles)Unlike the other Vietnam motorbike tour organizers, the local team of Hanoi Easy Rider will take you back to Hanoi on their own road and they can be sure that it is much less busier. Upon on your request, they can offer a short off-road motorbike ride nearby Thac Ba lake. You have no choice for the last 20 kilometers in Hanoi but riding slowly with many other local scooters back to the hotel in city center. You will finish the Northwest Vietnam motorcycle tour at about 4:00 p.m. The post Interesting Vietnam War Video Footage appeared first on owee58.com. 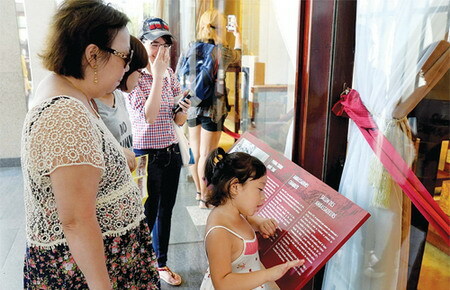 Tourists are now able to navigate the Reunification Palace in Ho Chi Minh City on their own thanks to a new set of exhibits printed in English, French and Vietnamese. Self-Guided Cycling Self-guided tours are our most popular cycling holidays. Perfect for everyone, they allow you to cycle at your own speed in the knowledge that your accommodation and luggage transfers have all been pre-arranged. You will be given route notes, maps and sightseeing suggestions. Pedal at your own pace, stopping whenever you wish. The post Self-Guided Cycling appeared first on Cycling Vietnam, biking and cycle holiday in Vietnam. 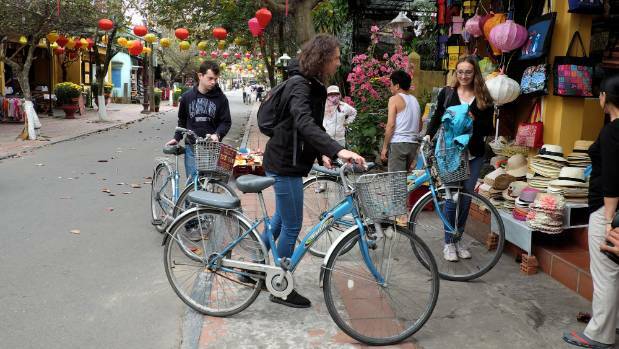 The perfect route to enjoy a leisurely self-guided bicycle tour of the Hoi An countryside. Experience local farming, rice paddies and water buffalo grazing. The post November 2017 appeared first on So The Adventure Begins. On northern Vietnam motorbike tours, we offer unlimited range of choices for you to get the most comfortable feeling. For more details please visit or call us at + 84985333066. Hi, I was wondering if it would be possible to arrange a self-drive trip along the Ho Chi Minh trail, and if so, what sort of price would I be looking at and when is the best time to go? The post Cycling Hanoi to Saigon road appeared first on Cycling Vietnam, biking and cycle holiday in Vietnam. The post Con Dao Island and Con Son Town appeared first on owee58.com. The post DIY Magical Harry Potter Tour of Edinburgh appeared first on So The Adventure Begins. 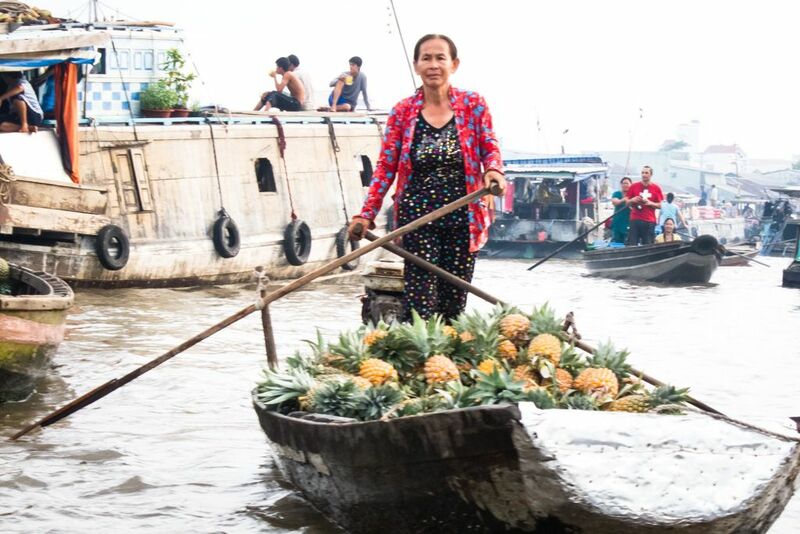 The post A Mekong Homestay in a Khmer region of the Mekong Delta appeared first on owee58.com. The post The stretch of road cycling’s preferred Hanoi appeared first on Cycling Vietnam, biking and cycle holiday in Vietnam. 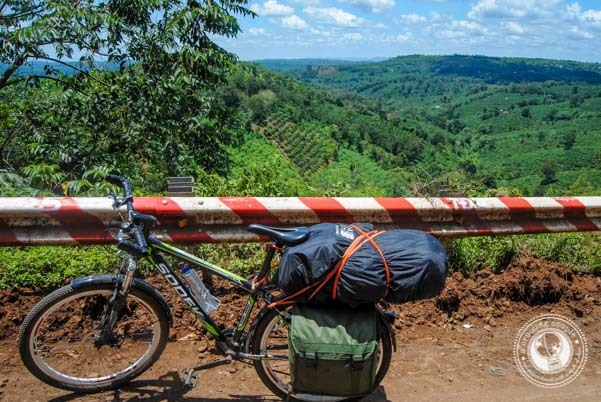 The post The bike ride to the beautiful tourist attractions in Dalat appeared first on Cycling Vietnam, biking and cycle holiday in Vietnam. The post How to Find a Teaching English Job in Vietnam appeared first on So The Adventure Begins. DIY or an organized tour of Vietnam? 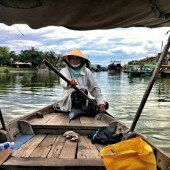 The post Off the beaten track Vietnam appeared first on owee58.com. The post Finding Yourself While Traveling – Our Unprofessional Opinion appeared first on Pure Adventures. Don't pay for a tour! Take our self-guided walking tour of 7 Washington, D.C. memorials & monuments. This route is about 2 miles & it took about 2 hours. Our 2-week Vietnam Itinerary packs a punch with buzzing cities, natural wonders, historic temples, mountain retreats and beach island getaways. The post Fansipan Trekking Mountain Bike appeared first on Cycling Vietnam, biking and cycle holiday in Vietnam. The post Capital Punishment in Vietnam appeared first on owee58.com. 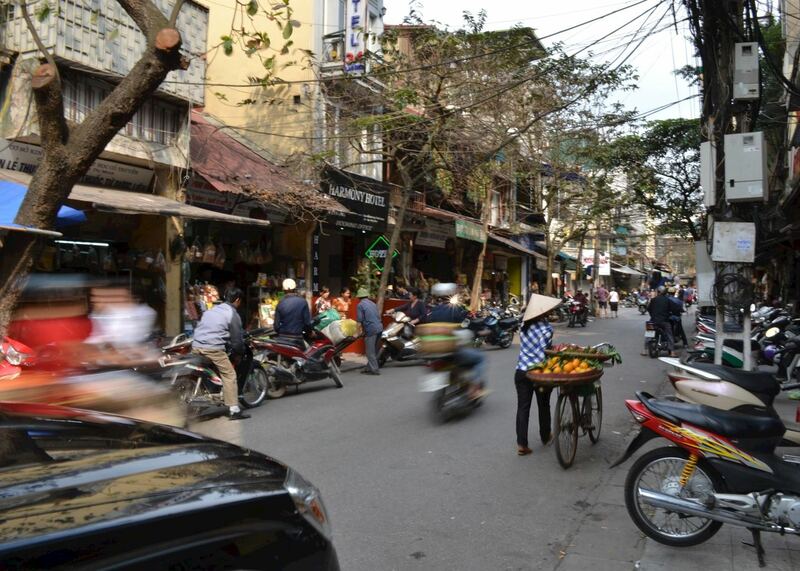 The post 2017 – Our Year of Living in Vietnam Review appeared first on So The Adventure Begins.